Everything that we do is in full commitment to protecting, nurturing and maintaining the critical balance between the resort and the diverse eco-system of Pumpkin Island and its surrounding waters. 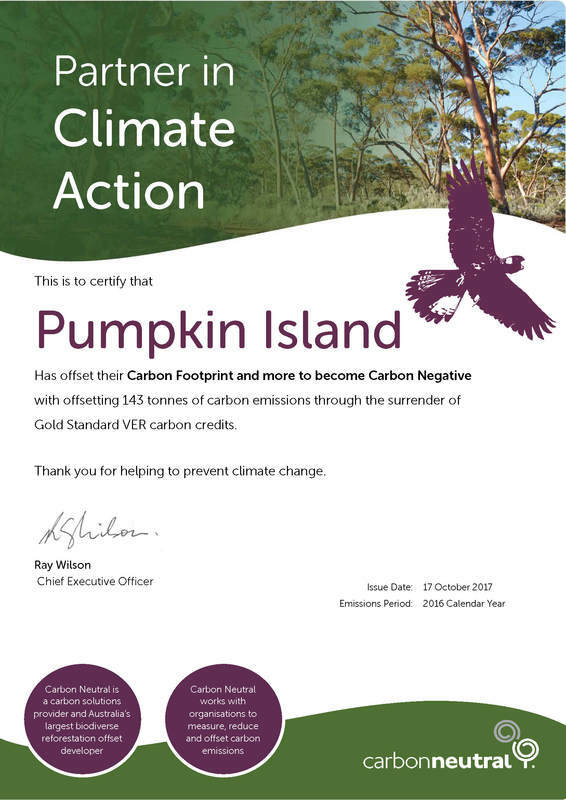 Pumpkin Island's Advanced Ecotourism Certified and Climate Change Action Leader certification is Ecotourism Australia's flagship program. Launched in 1996, it was the world's first ecotourism certification program. Ecotourism and nature tourism accreditation provide travelers, industry, protected area managers, and local communities with an assurance that an accredited product is backed by a commitment to best practice ecological sustainability, natural area management and the provision of quality ecotourism experiences. Sojourn Properties PTY Ltd - owners and operators of Pumpkin Island, is creating a greener, more sustainable business. Pumpkin Island enthusiastically seeks ways to support its environmental performance in all areas of operations by working with suppliers, clients, partners, customers and the community. Special environmental measures are incorporated into our daily operations to protect and nurture the reef’s health. Biodegradable cleaning products are used and organic certified guest amenities manufactured in Byron Bay, Australia.